Transforming Pain Research Group director Dr. Diane Gromala has been awarded a National Sciences and Engineering Research Council (NSERC) grant for research into VR Systems for Body Image and Body Schema. With the grant, the pain lab has now received research recognition and support from all of Canadas major grant-awarding bodies NSERC, the Social Sciences and Humanities Research Council (SSHRC), the Canadian Institute of Health Research (CIHR) and the National Research Council (NRC). 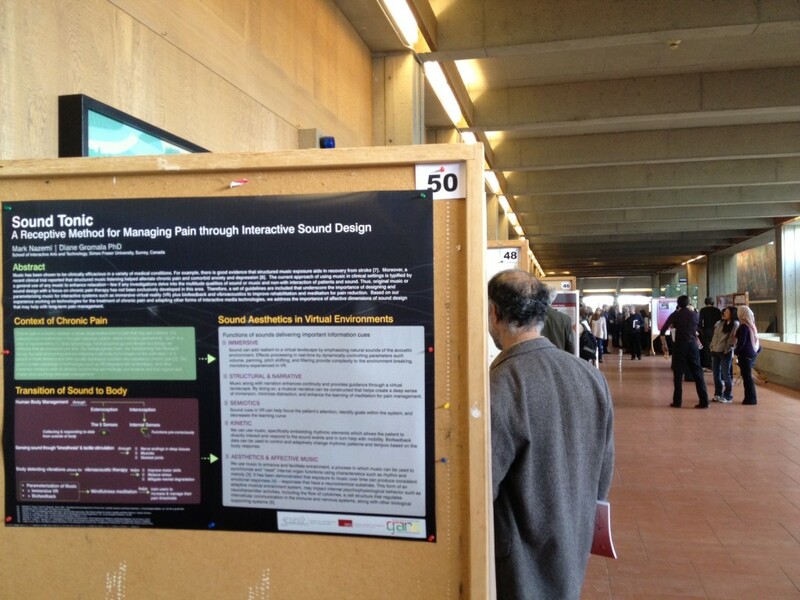 Mark Nazemi presented a poster on his proposed research into methods for managing pain through interactive sound design at the SFU Health Networks Health Research Day, on April 12. The poster was co-written by Pain Lab director Dr. Diane Gromala.